In July 2012, we changed our name from Providence Summerbridge to Breakthrough Providence to better align ourselves with our national partner, the Breakthrough Collaborative, and also to help our stakeholders understand that we are more than a summer program. 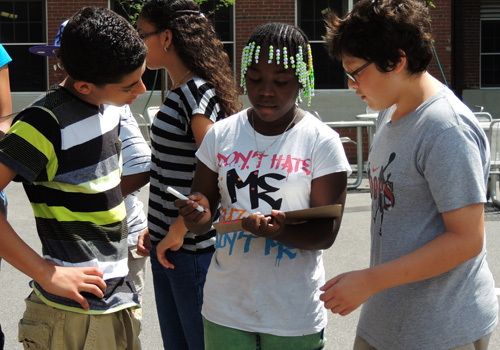 Our programs extend through the school year and span the most critical years of adolescence – middle school – and beyond. 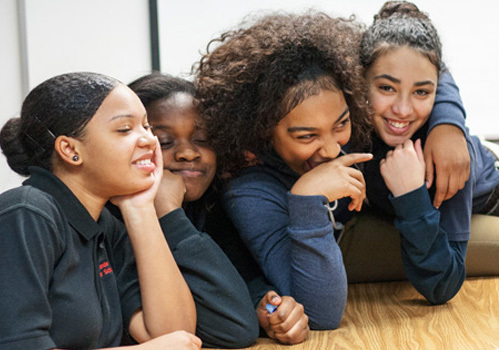 During the school year, Breakthrough students spend more than 40 hours engaged in our academic enrichment and leadership development programming. This is equivalent to the time spent on Math and English during 14 days of school. During the summer, this number more than triples. These additional out-of- school time programming hours are critical for Breakthrough students as they practice and apply the skills they learn in school, build academic confidence, improve academic performance, and become self-advocates and leaders in both their Breakthrough and school communities. During the school year, our teaching fellows are high school and college students, ages 16-22, from local public, private, and parochial schools. During the Summerbridge Program, our teaching fellows are recruited nationally through the Breakthrough Collaborative’s Summer Teaching Fellowship Program. Teaching fellows serve as role models for our students. They are creative, energetic, determined and hard-working. They serve as advisors, team teachers, special event organizers, and cheerleaders and develop meaningful relationships with their students that last a lifetime. One of our biggest accomplishments and indicators of success is that approximately one-third of our teaching fellows are graduates of our middle school program. Year after year, Breakthrough graduates are compelled to give back to the community that helped to shape who they are and to continue the cycle of positive youth development for students in Providence.